IN WHAT LOOKS like the start of a year-long election campaign, the Premier, Daniel Andrews announced that Labor would be building Corridor A of the North East Link if they are returned to power following next November’s State election. The controversial North East Link went to public consultation in August with four routes, Corridor A, by far the most direct route, is planned to connect the Ring Road from Greensborough, down through Bulleen to connect to an upgraded Eastern Freeway near the Bulleen Road interchange. Corridor B and C were projected to travel through Warrandyte to connect to EastLink at Ringwood, and Corridor D was discussed as traversing 40 kilometres through Kangaroo Ground, Lilydale and Croydon to connect to EastLink — these corridors have now been removed from the table. The Premier told ABC Radio the other options “don’t stack up”, saying the chosen route will see congestion on local roads in the north-eastern suburbs slashed, with up to 15,000 trucks taken off local streets a day, and more than 9,000 vehicles taken off congested arterials like Rosanna Road. The proposal includes several companion projects, including up to seven extra lanes on the Eastern Freeway and a Bus Rapid Transit (BRT) along the Eastern Freeway from the Doncaster Park and Ride to Victoria Park. The BRT project will also provide more parking for commuters, and Minister for Public Transport Jacinta Allan says there will also be an opportunity to build a future Park and Ride in Bulleen. “Buses will no longer be held up weaving on and off ramps, the Doncaster Busway will create a true express ride down the middle of the Eastern Freeway,” Minister Allan said. With autonomous buses currently being trialled in routes around LaTrobe University, there is speculation that the BRT would make use of the electric powered, driverless buses in the future. Manningham Councillor Paul McLeish says, “these enhancements to the freeway will be of some benefit to our community” noting that Manningham is “the most car bound municipality in Melbourne” due to the lack of rail services across the municipality. Local Member for Warrandyte, Ryan Smith told the Diary: “While this is a good outcome for the sensitive environment of Warrandyte, it is now clear that the suspicion, uncertainty and angst that the Andrews Government put our community through was completely unnecessary”. Mr Smith said the community meeting held at the initial announcement of the four options “made it abundantly clear that they believed Option A was a pre-determined outcome”. “Their concerns have been ignored by the Andrews Government and their predictions have been proven correct,” he said. Mr Smith said that the Liberal party support the North East Link, however “the East West Link needs to be completed first as it will carry the added vehicles that a North East Link will direct to it”. “Planning for the North East Link should be supported by proper planning that addresses the challenges of the project, and by genuine consultation with those affected,” Mr Smith said. With a projected budget of $16.5 Billion, the Premier says this project will be the “single biggest transport infrastructure investment in Victorian history”. Manningham Mayor, Andrew Conlon said in a statement that Council has a number of concerns with Option A they will be seeking assurance on. Council had previously resolved not to support Option A. Manningham Council spent $150,000 for a survey sent out to Manningham residents. 20% of residents indicated their preferred route — with support for the Bulleen Road route getting 35% of the share. Corridors B and C each polled 27% support with only 7% supporting Corridor D. Councillor Sophie Galbally said at a recent council meeting she felt the survey results were an indication of preference for “anywhere but in my backyard”. Councillor McLeish said while the council gave their support for the road in the September council meeting, the announced route will have significant impact on our community. 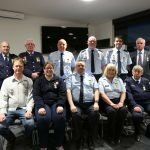 “There are many concerns we have for the liveability and safety of our community for the route that has now been announced, and I am certain that we as a council will work together to protect as best we can the desires and aspiration of the residents who are living along the alignment,” he said at the council meeting. Manningham will be using the data collected from the survey to inform their future submissions to the North East Link Authority and to advocate on behalf of its residents. The Manningham Mayor said that once detailed designs for Option A become available, “we will be actively advocating on behalf of our community on the issues they’ve highlighted to us. “We will be looking at how to minimise project impacts and if any opportunities exist that could deliver benefits to our residents. We also want confirmation that the Eastern Freeway will not be a toll road and that its median strip will be preserved for future transport options including Bus Rapid Transport and Doncaster Rail,” he said. Neighbouring Banyule are understandably unhappy with the announcement as they had been advocating for Corridor C.
Banyule Mayor, Cr Mark Di Pasquale told the Diary: “Banyule Council’s position has been ‘Option C’ and was affirmed following a recent survey of our community. “It is the best option to compliment Melbourne’s entire Transport Network Plan.” Although Cr Di Pasquale said that he believed NELA’s modelling was flawed. “It is claimed that 75% of traffic movement will go south and then to the east, Ringwood way, and only 25% will travel south and then to the west, into the City. “Of this west bound traffic heading into the city only 4% will get there, it is claimed. “I’ve grown up all my life in this area of town and many more people go into the city than that. “The idea of this road is overkill. “We may need a North East Link but a 10 lane road is too much,” he said. 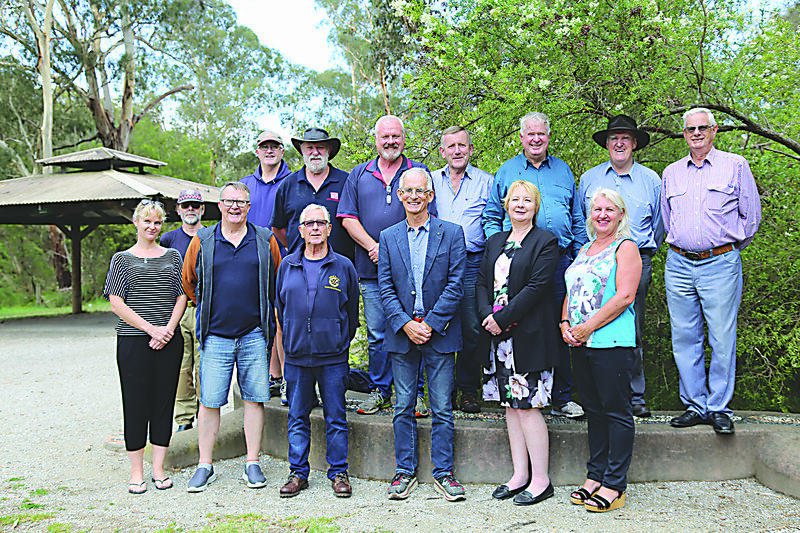 The Banyule Mayor said NELA was assigned the task to investigate the best option for the completion of the Ring Road. “What they’ve delivered is the ‘New Ding Road’ — A big ring road that travels around Melbourne and then has a ‘ding’ in it when you get to the North East. He said that Corridor A also fails the “Grandkids test”. “If my grandkids would think this road is a good idea then it would pass, but unfortunately it fails dismally; in 20 years’ time, we will be looking back saying ‘we should have built Option C’,” he said. Narelle Campbell from the community action group Rural Link #buildthelinkbutdontsplitthewedge, who have been vocal opponents of Corridor D, told the Diary they have been “actively participating in the route options identification, analysis and assessment… to ensure NELA and government could clearly understand why the rural Nillumbik Green Wedge was inappropriate for North East Link”. Despite Manningham and Banyule’s objections to Corridor A, Mullum Mullum Ward councillor, Sophie Galbally is pleased with the outcome for the Ward, although she told the Diary Manningham was always going to feel an impact from the North East Link, considering all the likely options were to come through the city. “On the other hand, there is a sigh of relief that this time the Green Wedge will be saved from the possibility of destruction by a freeway,” she continued. 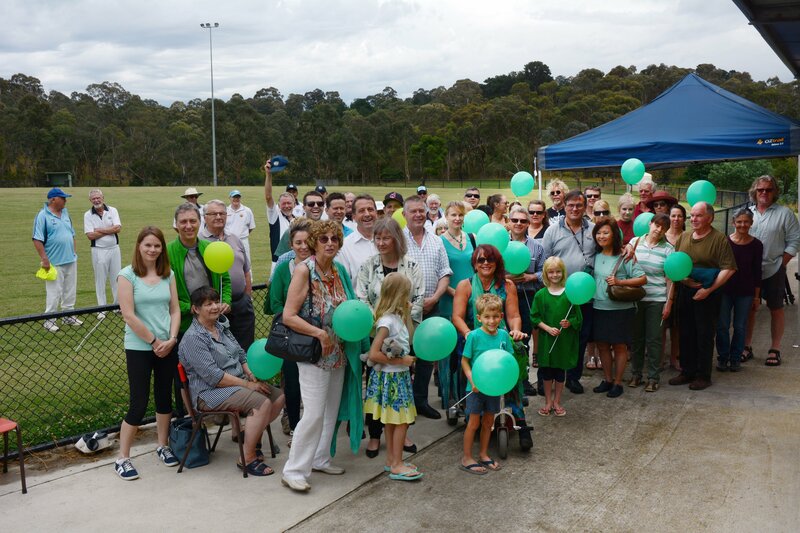 Following the announcement Ms Galbally held a community rally at Stintons Reserve, Park Orchards, which would have been in the direct path of both Options B and C.
“There is a sense of relief in Mullum Mullum Ward, but until the North East Link Option A is signed sealed and delivered, we should not be complacent,” she said. SUMMER will be soon upon us and local councils, community associations and the CFA have begun their annual bushfire preparations. LOCAL FIRE brigades have ramped up training of new recruits ahead of the upcoming bushfire season this summer. Brigades from the CFA Maroondah Group met at the Warrandyte Bridge last month to conduct a practical exercise aimed at familiarising recruits with some of the equipment. The main exercise conducted was drafting, which involves pumping water out of the river into the appliances, where it is then pressurised and pumped out through the hoses to fight the fire (or in the case of this exercise — sprayed back into the river). 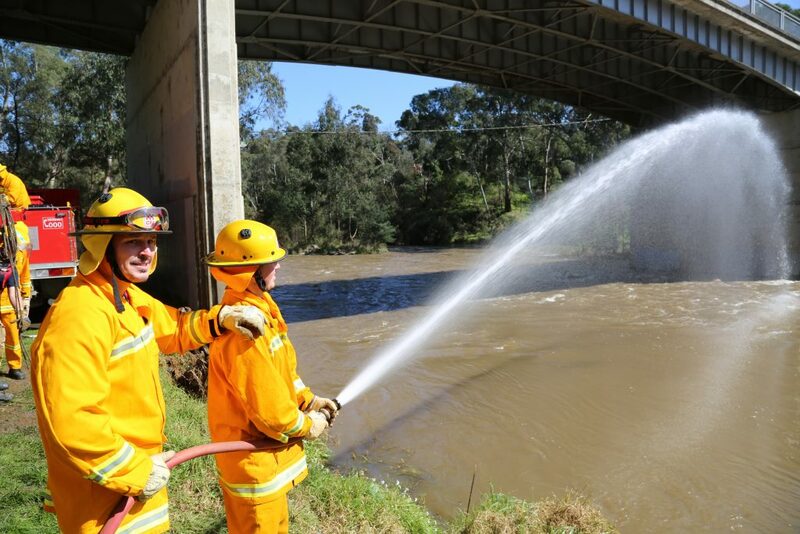 “What we do is whack in some drafting lines, and then with our priming pumps we get lift, so we then turn on our main centrifugal pump, and we’ve got water coming into the appliances,” said Bob Dowie, the Maroondah Group Recruits Course Coordinator. “We can either do a fill and drop, or an appliance can remain there and be used to fill other appliances, or we can conduct a fire fight from here if we have to. This technique can be used to pump water out of not just rivers, but also pools, lakes and dams. For the new recruits it is an important step they have to take to becoming operational firefighters. These sessions also provide an opportunity for the brigades in the Maroondah group to get to know each other, as these are the people they will be working alongside this summer. The exercise included trucks from North Warrandyte, South Warrandyte, Chirnside Park, Yarra Glen, Lilydale, Wonga Park and Coldstream. Fire authorities are predicting it to be a long, hot summer and implore local residents to stay on alert at all times. The drafting exercise is just one component of a rigorous, 12 week course that new recruits take in order to thoroughly prepare them for the summer. Over the next few weeks a whole range of training scenarios will be covered, sometimes it may just involve scoping the lay of the land. 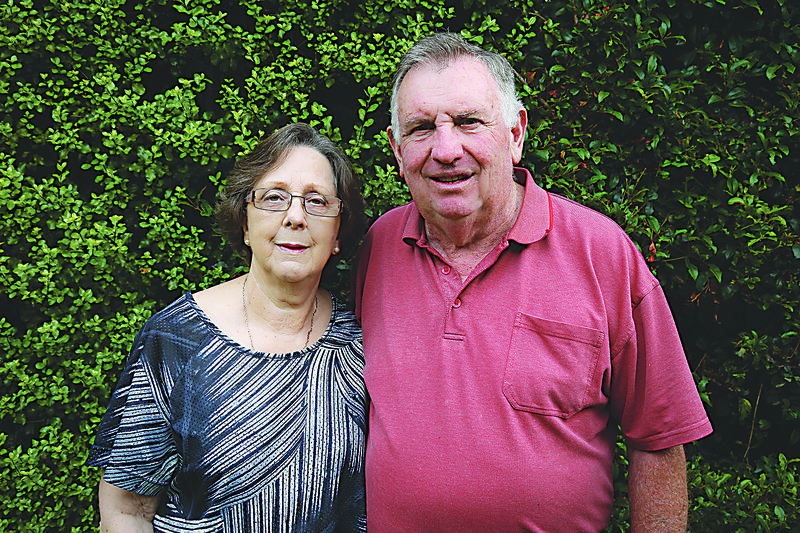 “Area familiarisation is a really big thing for us,” said Ms Bisscheroux. “While we do have maps to get to fires it’s definitely much more useful if the driver knows where they’re going or know that they can’t get the truck up this road and need to go from a different direction. “We’ve got maybe two main roads out [of Warrandyte] and if people are trying to get out it’s going to get congested, and we’re also trying to get the trucks in the opposite direction which causes us problems,” she said. For the new recruits, a sense of responsibility to the community is a significant driving force towards volunteering for the CFA. “I signed up because I wanted to learn the necessary skills to improve bushfire resilience, prevent bushfire and combat fire so that I can aid my community and those in need,” said Tim Benedict, a new recruit of the South Warrandyte brigade. 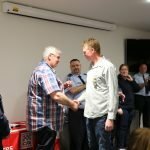 “The CFA is a great community organisation with incredible commitment from its volunteers and staff,” he said. For Tayla Walsh, another South Warrandyte volunteer, it has been a valuable and worthwhile experience. “It wasn’t until my mum and brother joined a few years ago and I got that exposure to what being a volunteer involves that I decided it was something I really wanted to do,” Ms Walsh said. With training well and truly underway, Warrandyte residents can rest assured that local brigades will be ready to tackle whatever this summer may bring. Will you be as safe as houses this summer? LIVING IN Warrandyte is a privilege that comes with risk. Living amongst the bush makes Warrandyte among the places most at risk of bushfire in the world. To lessen the risk, there are actions that can be taken before the danger period, such as reducing flammable materials around your home, installing water tanks, sprinkler systems and firefighting equipment — and having a fire plan. The CFA has said the warmer and drier than average weather over recent months, combined with the forecasts for spring, suggest that the fire season is likely to commence earlier than usual and be more active than normal. So now is the time to ensure your family have a plan in case of bushfire, storm or other emergency events, and one of the most important things to remember when producing your plan is to decide when you trigger your plan. CFA recommends that a severe fire danger rating or higher should be your trigger to leave — do not wait for an official warning before you leave, as you may not get one — fires can start quickly and threaten homes and lives within minutes. Your plan should also include a plan of where to evacuate to — hanging out at Eastland might be ok for a couple of hours, but remember you may need to take yourselves, you pets, and your valuables away from Warrandyte for a couple of days if there is an extended heatwave. The CFA urge residents to understand your risk and plan ahead. Know what to do on hot, dry, windy days and plan for all situations. Let your family and friends know your plan — what are your triggers, where you’ll go and how you will get there. This year especially, your plan should include strategies to avoid being stuck during the roadworks on Warrandyte Bridge. Even if you do not have to cross the bridge, the CFA warns if you wait and decide to leave after a fire has started, you risk driving your family through thick smoke, fallen trees and power lines, and face the danger of collisions, being trapped, serious injury or death. Your fire plan also requires a Plan B, for when you get caught at home by an unexpected event — so your home should be defendable even if your plan is to leave. Get informed Should the worse happen and your home is threatened, how can you ensure your family and your home are more likely to survive? Get as much information as you can before the fire season is upon us. Go along to one of the CFA Open Days or attend one of the information sessions being held by local community groups. The Be Ready Warrandyte Safe as Houses? forum, hosted by the Warrandyte Community Association (WCA) and their partners in Manningham and Nillumbik Councils and the local Emergency Response and Recovery Services, aims to answer this question. The Safe as Houses? forum will be held at 7pm on Thursday October 26 at the Warrandyte Community Church. The forum will explore case studies in which a house was or was not lost as a result of a fire. Justin Leonard from the CSIRO will present on different building materials and how they fare against a fire and will also look at a houses’ surroundings to give you an idea as to how best to prepare your property. The forum will also give an overview of the upcoming fire danger period including communication and access interruptions within the area. The community will be given the opportunity to ask questions about any of the topics raised in a panel of speakers and local agency representatives following the completion of the presentations. Residents are encouraged to bring along your personal emergency plan as you may wish to include information that you gain from the evening. Proactive Landowners Group (PALs) will be conducting a Community Fire Awareness Program on November 19 at the Panton Hill Hall. PALs is a group from Nillumbik who pride themselves as being “well intentioned, non-aligned landholders” who came together to dispute planning changes in Nillumbik two years ago. PALs are calling for a dismantling of native vegetation clearing regulations to remove the “archaic, draconian and overly-complicated legislation” asserting that “the process must begin afresh” with appropriate consultation. “It needs to be collaborative process with good intent and good will,” he said. “Nillumbik Shire spreads out to the north of Warrandyte, which is recognized as the most highly populated high-fire danger areas on planet Earth,” he said. Mr Crock says the Shire is blessed with talent from all walks of life and they have come together in PALs with “the right intent to make effective change”. The group is therefore holding an information session to discuss fire safety and preparedness in the lead-up to what is likely to be a challenging bushfire season. “The session can be attended by anyone in and around Nillumbik” to gain valuable information about preparing for the fire season. The day will include guest speakers such as Neil Marshall who, with more than 50 years’ experience with the CFA, will be speaking on a number of subjects. There is also information about preparing pets and livestock during bushfire threat. Horse owners can also learn about the National Equine Database, an invaluable resource in the aftermath of natural disasters. With Fire Action Week kicking off from 13 – 20 October, Councils are working closely with local CFA brigades to identify and reduce bushfire risks on Council land to help improve community safety. 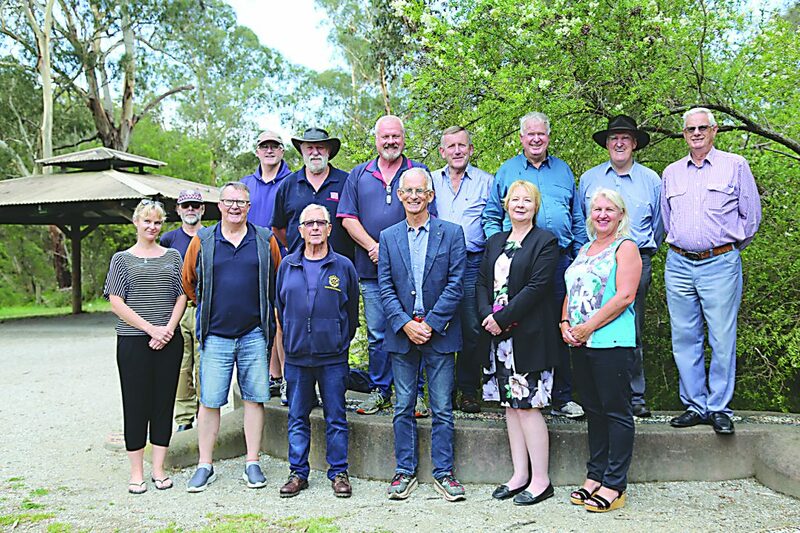 Nillumbik Shire Mayor Cr Peter Clarke said Council is preparing for the summer season with bushfire mitigation plans underway, this includes roadside clearing, slashing and mowing, tree management and native vegetation clearing. “Council’s fire prevention program also includes ensuring maintenance of fire tracks, power line clearance, removing hazardous trees, clearing road sides, water tank maintenance and environmental works in our 32 reserves,” Cr Clarke said. “This work is vital for Council to undertake but it will not eliminate our bushfire risk entirely. 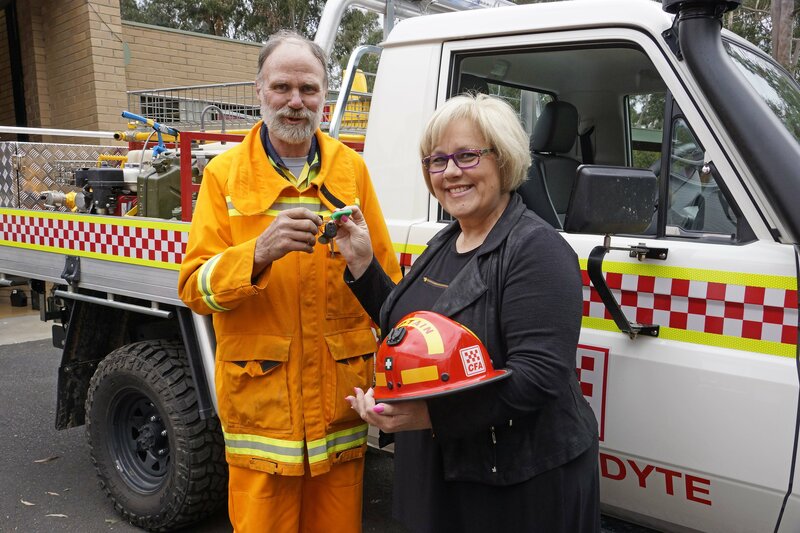 THE FIREBALL organising committee handed over the keys to a new slip-on unit to Warrandyte Fire Brigade. Last October’s Fireball, where 350 members of the local community gathered together for a fun-filled night at the Park Hyatt, raised over $70,000, which purchased a LandCruiser ute to replace the brigade’s old vehicle. The slip-on unit is a four-wheel-drive ute with fire-fighting capability which enables firefighters to get to places traditional tankers would be unable to access. The previous fourteen-year-old firefighting appliance was involved in a burn-over incident while supporting firefighters in Tasmania. Warrandyte CFA Captain Adrian Mullens got the call from Tasmania last year saying the vehicle had been involved in a burn-over. “My heart sank — I didn’t think my ticker could go 500 beats per minute…luckily apart from some scorch damage to the slip-on they were fine, fortunately we had an experienced crew on it, and that is paramount — there is no place for learners on a slip-on because there are only two of you,” he said. The appliance was refurbished following the incident, however Captain Mullens believed that the 2003 vehicle was no longer providing an acceptable safety standard for fire crews. “Having all the extra safety features in it, crew safety is something that is always top of the list,” he said. The firefighting equipment which was replaced following the incident in Tasmania was able to be reused on the new vehicle, although supplementary donations from the Lions Club and Rotary enabled the brigade to fit out the appliance with some ancillary equipment such as winches and crew protection sprinklers. Captain Mullens said the brigade would not have had the funds if not for the donation from Fireball. “Fireball has just taken a huge burden off the brigade in relation to raising funds for major ticket items, so we are extremely grateful for the Fireball Committee’s efforts,” he said Jaime Noye from the Fireball Committee said while the idea that the brigades shouldn’t have to fundraise for themselves is a big part of the reason behind Fireball, it is more than that. “It is a celebration of the firefighters and all they do for us, and last Fireball was at a time when there was a lot of uncertainty, so bringing them all together, it really did help them,” she said. After the 2014 fires, Julie Quinton, from Quinton’s IGA, identified there was a need for local brigades to have some assistance in relation to major expenditure — trucks, generators, etc. 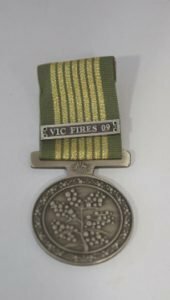 Julie formed the Fireball Committee and then in conjunction with the four local fire captains identified the worthiest recipients — North Warrandyte were top of the list to replace its aging tanker, which was the recipient of the 2014 Fireball, then Warrandyte for this appliance. Fireball committee member Michelle Lambert said the Fireball is only about raising money for big ticket items. “People are still contributing from the community to the brigades in other ways,” she said. For instance, Warrandyte Community Bank contribute $50,000 per year to our local CFAs. “The bank also gave Fireball a grant and [when the venue was moved] they came in and put on the busses,” continued Ms Lambert. The Fireball Committee is not resting on its laurels, it is in the process of providing a model for taking Fireball to other communities and is planning for the next Fireball event in 2019. “When the government has a clearer idea of what the new fire service is going to look like, we can go to the community saying this is it, and this is the shortfall and this is what we are intending to do,” she said. Warrandyte’s slip-on goes into service this week, ready for the upcoming fire season and will turn out for local incidents and be part of strike teams around the state and potentially around the country. COMMUNITIES in high-risk bushfire areas such as North Warrandyte could benefit from an initiative to bury powerlines, which will significantly reduce the risk to lives and property from bushfires.On February 7, 2009 Victoria suffered the deadliest bushfires in its history. 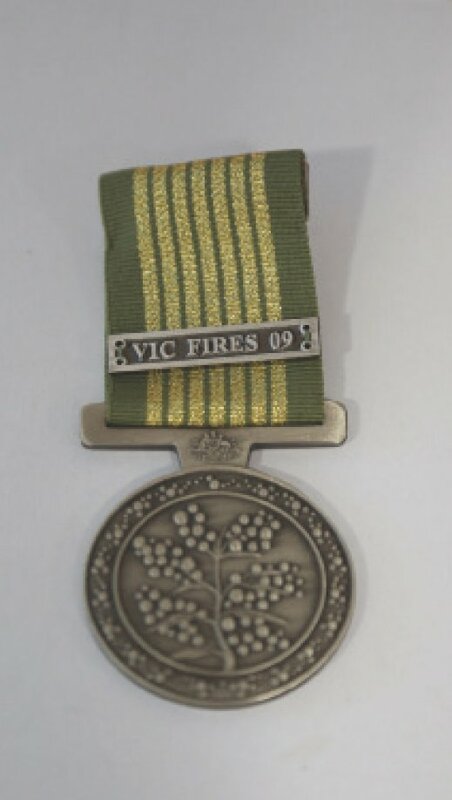 The subsequent Victorian Bushfires Royal Commission found that uninsulated overhead powerlines were the cause of many of these fires, and recommended the Victorian Government contribute towards the cost of replacing these lines, starting in highest priority areas. The State Government is calling for applications from all regional Victorians interested in applying to the Powerline Replacement Fund to underground their bare-wire overhead powerlines before applications close in February 2018. • is located in a High Bushfire Risk Area as designated by the Country Fire Authority.Residents of Nillumbik and Yarra Ranges could be eligible for a grant from the scheme, although property owners interested in taking part should check their eligibility at www.energy.vic.gov.au/electricity/powerline-replacement-fund. The Manningham council area is not included in the scheme. LISA PARKER is the new chef on the block. She starts her day in the kitchen of Warrandyte’s favourite social enterprise café, Now and Not Yet, cutting and chopping up ingredients, portioning sauces and vegetables and seasoning meats. She commands the ovens and fryers, reigns supreme over the stove top, and knows how to make a mean batch of pancakes. Lisa also happens to be deaf. Her employment at Now and Not Yet isn’t just a job—it’s a life changing experience, especially after over 100 rejected job applications and years of struggling to find fulfilling work. I sat down with Lisa, her interpreter Danielle Don and Sign for Work case worker Laura Bell to chat about her job, being welcomed into the Warrandyte community, and why she puts a few heaped teaspoons of sugar into her Now and Not Yet coffees—it takes the edge off the caffeine, she says. 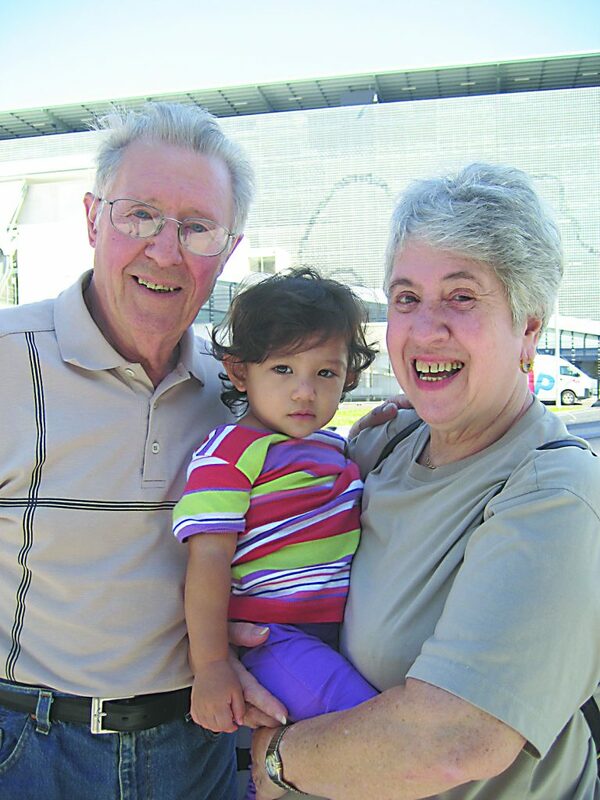 Lisa started as a volunteer in the Now and Not Yet kitchen six months ago. It was a sharp change of pace from her last job, working as a cleaner in accommodation houses in Tasmania. 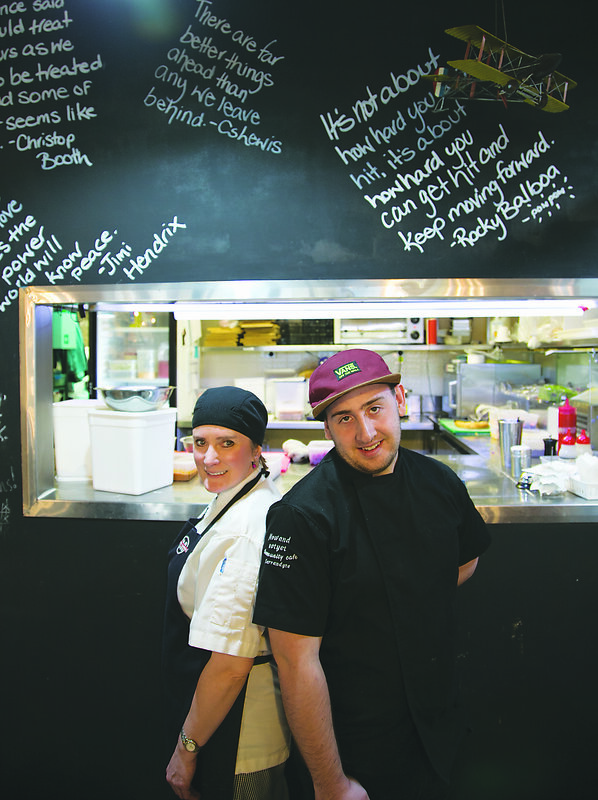 From working in isolation cleaning homes—hard and tiring work—where the only person she communicated with was her employer via text, to the bustling, fast-paced kitchen on Warrandyte’s main street — it’s a big change, but a welcome one. “I love it here,” Lisa says. “I actually enjoy coming to work because there’s nothing worrying about it. It’s the people that make all the difference. The worst part of her old cleaning job was that she was always working alone, Lisa says, and that it was isolating and quiet. But here in the busy kitchen on Yarra Street, the word “quiet” certainly doesn’t come to mind. The kitchen, the coffee counter and the café floor are almost always teeming with people. And it’s these people, staff, customers and community members alike, that have made Lisa feel so welcome in Warrandyte. “I’m mixing with different people and I get to meet a variety of different people. “They’re just friendly and welcoming and they accept people for who they are — they don’t shun people or push them away, or judge them. “With me, it’s just a different style of communication and instead of going ‘oh that’s too hard’, everyone here actually wanted to learn. When Lisa joined the team in the kitchen, the communication process between staff members changed. Gone were loud vocal cues and yelled warnings (“HOT! ), and in their place a bevy of basic sign language phrases, hand gestures and lots of smiles. Lisa explains the system to me: one tap on the shoulder if somebody needs her attention, two taps to let her know somebody is walking behind her or carrying something hot, to avoid giving her a fright. “Sometimes it can be hard, so we have to write things down. And they’ve taken a shine to it. 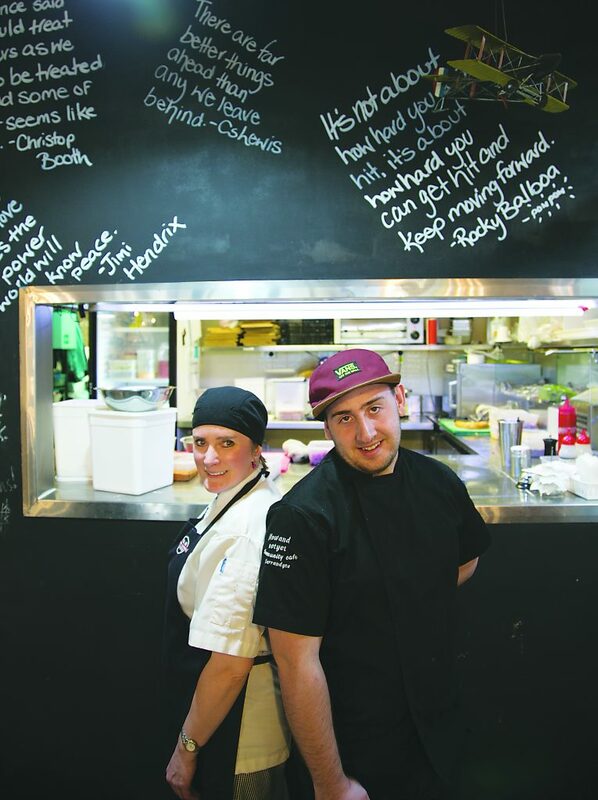 Jack, a full time chef in the Now and Not Yet kitchen, has made a determined effort to learn AUSLAN and ensure that the kitchen is a safe, supportive and inviting place for Lisa. And as a result, his relationship with Lisa is an incredibly special one, where the roles of mentor and mentee are reciprocal: Jack teaches Lisa skills in the kitchen, and Lisa teaches him sign language and deaf awareness. “It was a bit of a struggle to start with because I didn’t know any sign language — but because Lisa and I got along so well, it was easier to learn from her. “I’m not fluent obviously, but I’ve learned things like bacon, lamb…the really important words! It’s fun but it’s a lot of work to remember,” Jack says. They’re both visual learners, and Lisa says having Jack in the kitchen with her ensures every day is filled with plenty of learning — but plenty of fun too. “[Jack] has a really cheeky laugh and we have a good giggle in the kitchen together,” she says. Laura Bell, Lisa’s case worker from Sign for Work, says that being employed by Now and Not Yet has been a transformative experience for Lisa. “Lisa has struggled in employment previously; but now I see this happy and excited person every single day. “Her confidence wasn’t there and her sense of self-worth, but to see the change in her is amazing,” she said. But Laura Bell says that it’s a rarity for a deaf person to find such a cooperative and supportive workplace in Melbourne. Now and Not Yet is the exception. “For us to find people who are so accepting and willing to employ a deaf person…and they did it all own their own, without us prompting them! “Even when Lisa was just a volunteer here, they all wanted to learn sign language, learn how to communicate and make it easier for her. “Most hearing people don’t try to involve themselves in the deaf persons experience, it’s just sort of like, you’re here in my hearing world, work it out — that makes it really hard to keep a deaf person in employment,” Laura says. “So finding a special, unique place like this… they on their own said ‘how can we become deaf? How can we make your life easier?’. Laura and Lisa agree that it’s not just about finding and creating opportunities, but more broadly contributing to deaf awareness. 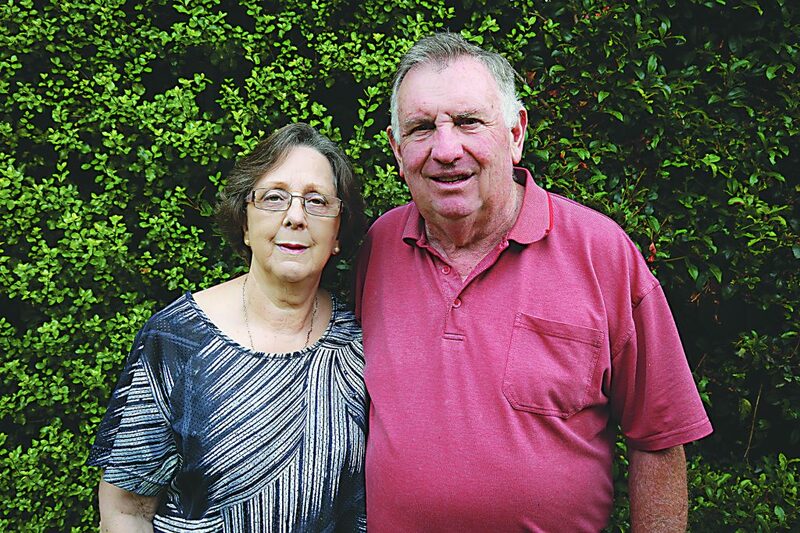 “The wider community today just doesn’t accept something as basic as hearing loss — I can’t understand it, and it makes it so hard — but the community here in Warrandyte, we need more people like the people here,” Laura says. And café owner Derek Bradshaw, says it’s people like Lisa that are the reason he does the work he does. “It’s why we exist, there’s no point in being a social enterprise and putting money back into the community if you’re not actually willing to really live it in everything you do,” Derek says. “I’d say that probably over a third of our staff have faced some kind of significant challenge or have a learning disability. “We actually kind of gravitate towards employing people that maybe wouldn’t be offered a job in a more mainstream workplace. Derek is implementing a number of workplace modifications to make Lisa’s job easier, including putting a mirror in the kitchen so Lisa can see behind her, and getting Lisa a watch or pager, that can vibrate to let her know when alarms or timers are going off on the kitchen appliances. Lisa’s not sure what’s next for her, but for now, it’s all about becoming a better chef, learning more skills and completing her TAFE course in culinary arts and hospitality.